Mary Pat FitzGibbons, RN MS CVNS HTCP/I BHSP, has 40 years of nursing experience, throughout the country. Mary Pat works under the name of HealthWorks providing treatment and education in subtle energy healing. 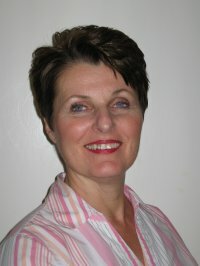 Mary Pat has been a Healing Touch Certified Practitioner since 1996 and Certified Instructor since 1999. Mary Pat has been teaching HT in Pennsylvania and Puerto Rico. She is now living, practicing and teaching in Binghamton NY as well as teaching in Central PA. On a more traditional note, Mary Pat has experience in intensive/coronary care, home & hospital IV therapy, hospice, home care, cardiac rehabilitation, geriatrics, hemodialysis, and workers compensation. Mary Pat maintains memberships in the Healing Touch Program, American Holistic Nurses Association. Mary Pat has served on the Boards of the Central PA Chapter of American Society of Training and Development as Director of Communications, Pinnacle Hospital's Woman Care, and the Center for Holistic Living. Mary Pat has been recognized in Who' Who' in American Nursing 1990. Mary Pat is licensed to practice nursing in Pennsylvania and New York.